You want to hide your pictures so no one else can look at them when they borrow your iPhone. Believe me — you aren’t the only who has embarrassing pictures on your iPhone. 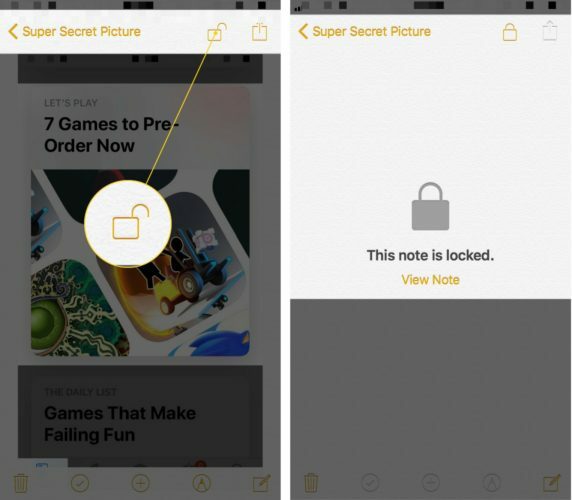 In this article, I’ll show you how to hide photos on your iPhone using the Notes app! Do I Need To Download An App To Hide Pictures On My iPhone? 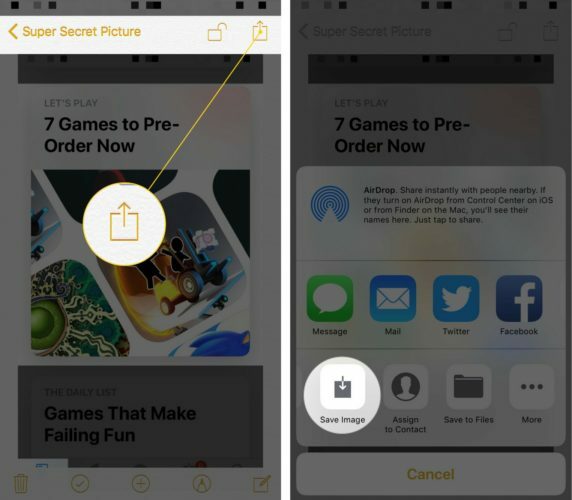 A lot of other articles will tell you that you have to download a specific app before you can hide photos on your iPhone. However, you can hide your pictures in the Notes app! Follow the steps below to learn how to password protect photos on your iPhone without downloading a new app. 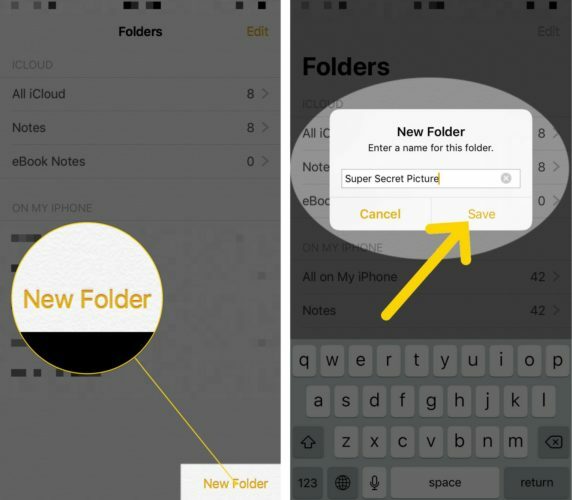 Now that the folder has been created, tap on it and create a new note by tapping the new note button in the bottom right-hand corner of the screen. In the new note, tap the small black plus button above the keyboard. 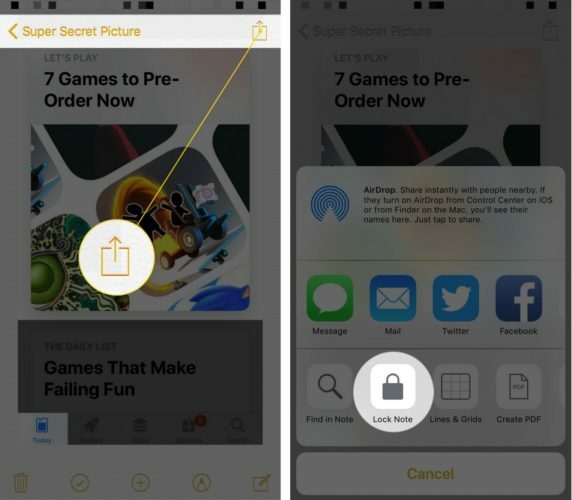 Next, tap Photo Library and find the picture or pictures you want to hide on your iPhone. Finally, tap Done in the upper right-hand corner of the screen. Now, the picture will appear within the note. To lock the note and keep your picture or pictures secure, tap the share button in the upper right-hand corner of the screen. Next, tap the Lock Note button in the menu that appears and set up a password for the note. Once you’ve set up a password, tap Done in the upper-right hand corner of the screen. To lock your note and hide the photos on your iPhone, tap the lock button the the top of the screen. You’ll know the note has been locked when your iPhone says “This note is locked.” When you’re ready to unlock the note, tap View Note and enter the password. 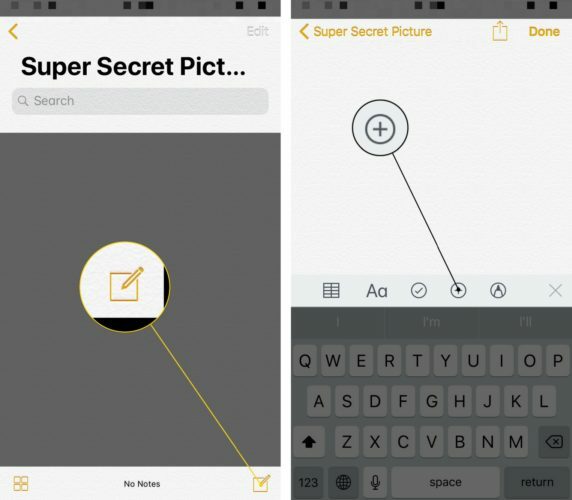 After creating a note for your super secret iPhone picture, don’t forget to go back into the Photos app and erase the picture. To erase a picture on your iPhone, open the Photos app and tap on the picture you want to delete. 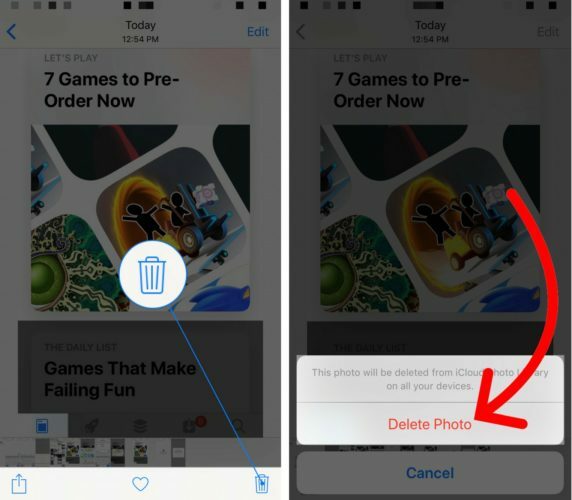 Then, tap the trash can button in the bottom right-hand corner of the screen and tap Delete Photo. 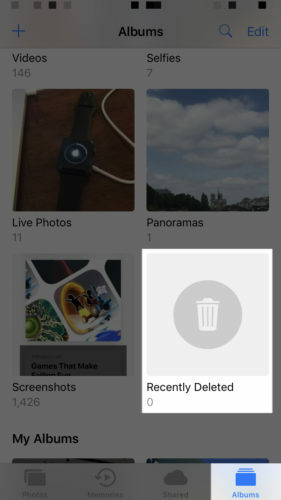 Finally, make sure you go to the Recently Deleted folder in the Albums section of the Photos app and delete the picture there as well. Can I Save My Hidden Pictures Back On The Photos App? 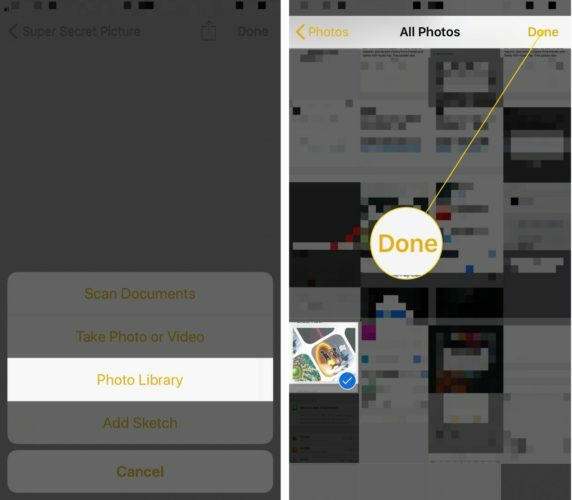 Yes, even if you’ve deleted the photo on your iPhone, you can save the picture back to the Photos app from the secret note you’ve created. Open the note, then tap on the share button in the upper right-hand corner of the display. Then, swipe right to left on the bottom third of the menu that appears until you see Save Image. Tap the Save Image button to save the picture back to the Photos app. You’ll Never See My Photos! You’ve successfully hidden your private pictures so no one will ever find them! 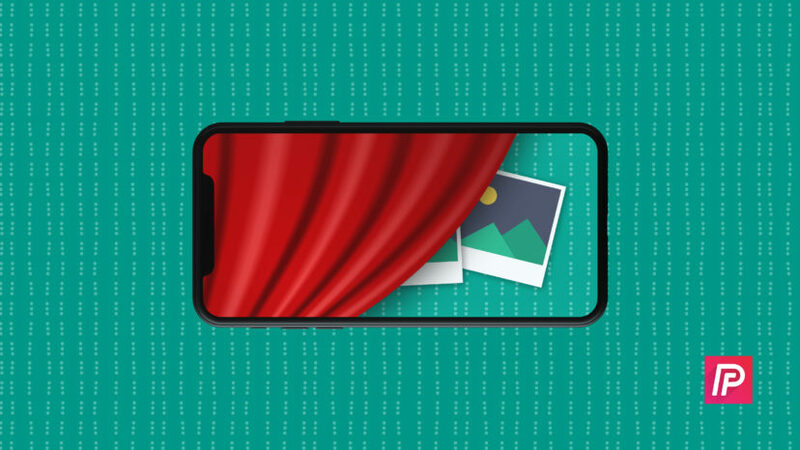 I hope you’ll share this article on social media to show your friends, family, and followers how to hide photos on their iPhone. If you have any other questions about your iPhone, feel free to leave them in the comments section below. Previous ArticleWhich iPhone Has The Best Battery Life? Here’s The Truth! Next Article How To Search The iPhone App Store: The Beginner’s Guide!